After more than a year fighting in east Ukraine, this summer the Ukrainian authorities finally initiated an embedding programme allowing foreign correspondents to spend time alongside Ukrainian troops on the frontline of the conflict. The programme aims to give global audiences an insight into the reality of the conflict by allowing journalists unhindered access to Ukrainian forward positions. Getting the Ukrainian military top brass to accept embedded foreign correspondents was no easy task, but the stakes for the country could hardly be higher. 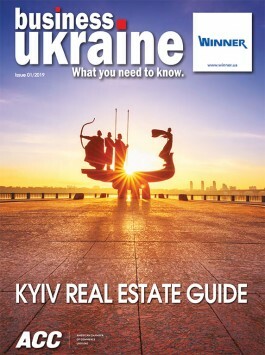 Ukraine is fighting for its continued existence as an independent state, and there is growing recognition among army chiefs that the battle against Russian propaganda is every bit as important as the military confrontation on the ground in east Ukraine. One of the first reporters to embed with the Ukrainian troops was US army combat veteran turned war correspondent Nolan Peterson, who writes for The Daily Signal. With his hipster beard and Marine Corps physique, Mr. Peterson is a war reporter straight from Hollywood central casting, but there was nothing glamorous about this particular assignment. He readily admits that none of his experience while on active service in the US army prepared him for the intensity of the fighting in the Donetsk region village of Pisky, where he spent eight days embedded with Ukrainian forces. “In Iraq and Afghanistan you would gear up before heading out on a specific mission. In Pisky, death can come at any moment. You could get killed going to the bathroom. You can die eating dinner or taking a shower,” he reflects. The quiet determination and mental toughness of the Ukrainian soldiers he encountered is a recurring theme in the American correspondent’s recollections of his time at the front. “I thought their mental strength was pretty remarkable. What’s most amazing is that many these guys are just a two- or three-hour car drive away from their wives and kids, from their friends and families. And yet most of them haven’t been home in five or six months. Instead, they’re living in this hell. Home is so close, but they might as well be on the moon. I don’t know how they have the mental strength to do it,” he comments. Mr. Peterson believes that the support the frontline troops receive from the Ukrainian volunteer movement is of huge psychological importance, serving to remind the soldiers that they are not alone and have not been forgotten by the Ukrainian public. He remains visibly amazed by the scenes he witnessed in Pisky of civilian volunteers driving right up to frontline positions in order to deliver the latest batch of aid, and argues that this continued backing from members of the public plays a key role in helping to maintain army morale. As an embedded journalist, for a brief period Mr. Peterson found himself sharing the day-to-day risks that the Ukrainian troops are living with. He carries a sniper’s bullet that he says came within inches of killing him, and claims to have experienced life-threatening situations on every single one of the eight days that he spent at the front. 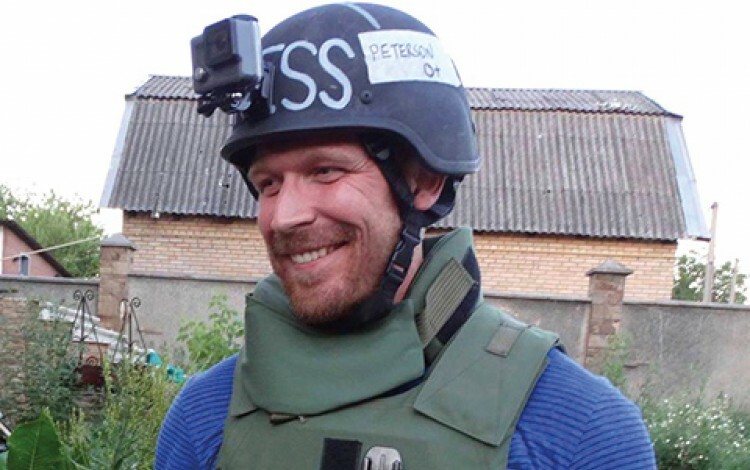 Mr. Peterson’ background as a US army combat veteran worked in his favour when it came to winning the confidence of the Ukrainian troops he was shadowing, but he insists that he did not let the inevitable sense of camaraderie that developed between them spill over into his reporting. “Journalists are not soldiers and it is not my job to fight Ukraine’s war for them,” he states. Mr. Peterson does not rule out returning to the frontlines for a second spell embedded with the Ukrainian army. If he does choose to head back to the front, it will mean crossing the almost surreal boundary between the devastated Donbas warzone and the rest of Ukraine.